What is the [non-incison] buried suture technique double eyelidplasty? This non-incisional buried suture technique allows for the surgeon to perform double eyelidplasty without making large incisions. Instead, small pin holes are made barely large enough for the needles to pass through.Sutures are repeatedly passed from one hole to another underneath the skin so as to have its name “buried” under the skin and finally comes out of the hole where it started to make a knot. The knot is also buried under the skin. Therefore, bleeding or swelling is minimal immediately after surgery. The operation is so simple that surgery itself takes only about 30-45 minutes . The sutures can either be left inside permanently or removed later. It is the natural fibrosis around the suture that maintains the form of the double fold. The main advantage of this technique is rapid recovery after the operation and technical ease. Excellent candidates of this operation are those who are in their teens or in their twenties with good skin elasticity. 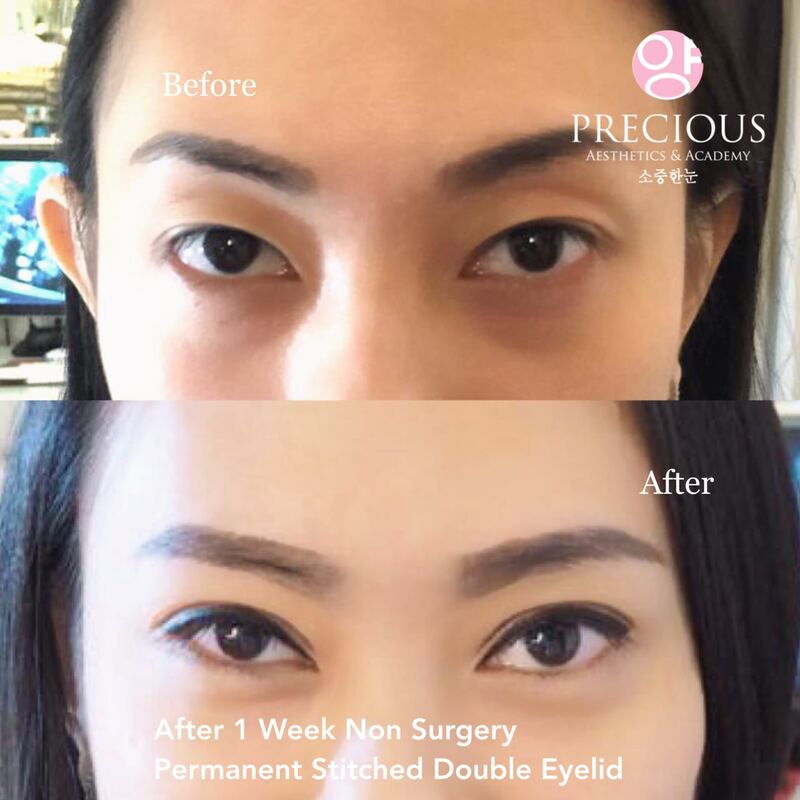 They must also have moderate amount of muscle and fat volume around the eyes because this operation cannot remove skin, muscle or fat if they are in excess amount. And a good news for you that women or men above 40years old and below 60years old are qualified for this method. 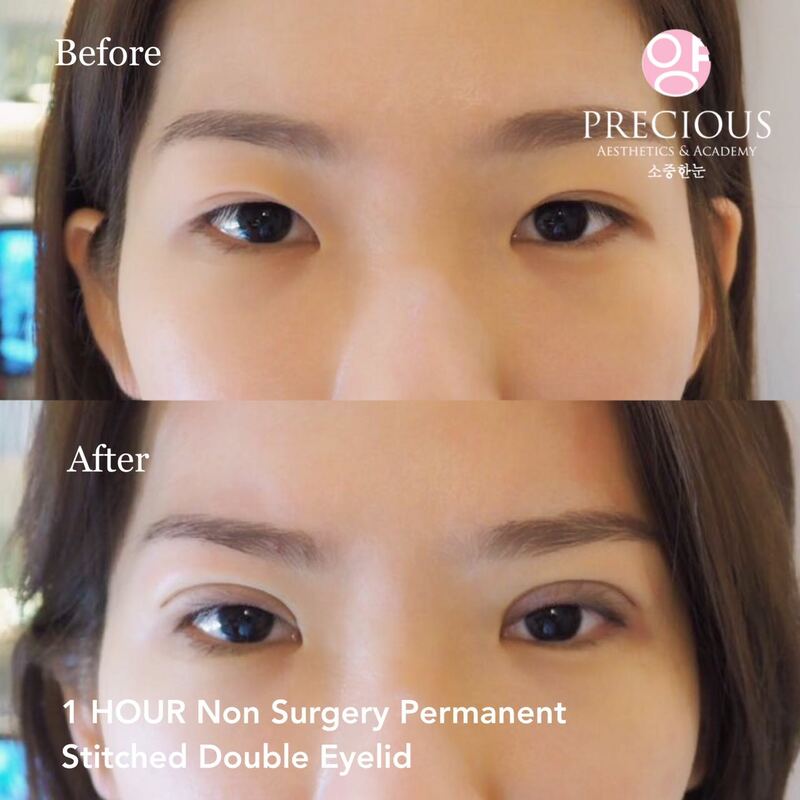 Naturally-shaped double eyelid as if you have not received any operation. Minimum damage to the tissue. Quick recovery. 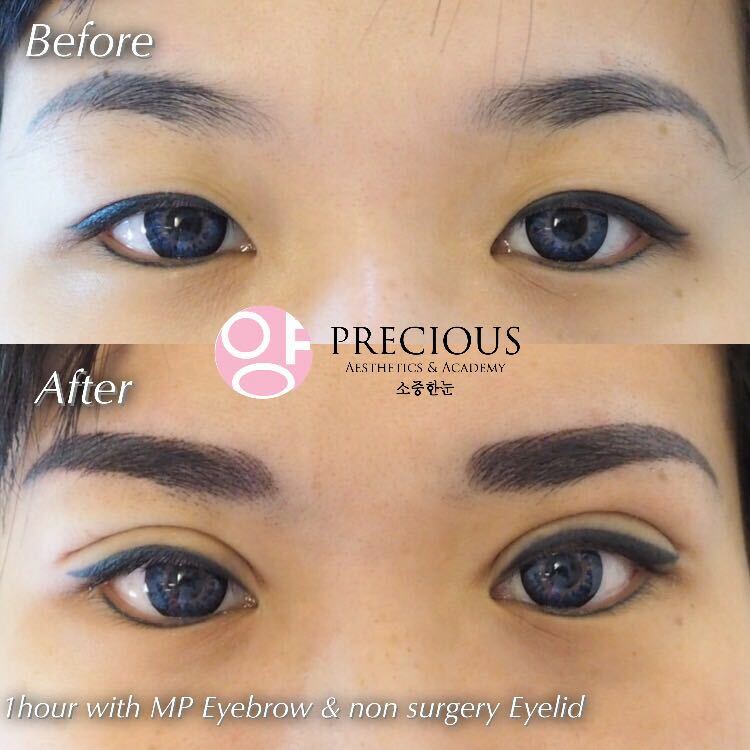 Easy to receive a re-operation since the operation would not damage the tissue much. You can go back to the normal routines as soon as possible.